How do you freak out a child and cause them to live a life of never being able to save money due to a fear of piggy banks? 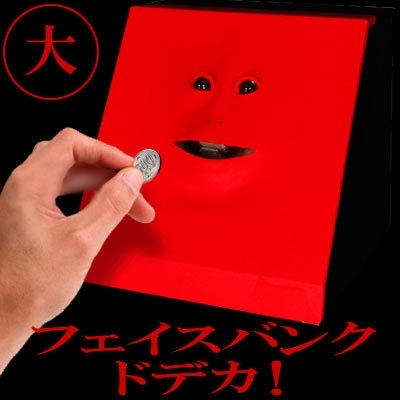 Get this this freaky Mega Face Bank from Strapya World. This oversized face bank is not only 2 times bigger than the original Face Bank, but it also comes complete with burping and other hideous noises. I can only imagine how the money comes out… I’m going to be thinking of this face tonight as I sleep.